Jessie Sloan used to have two best friends. Then they decided to go punk, so that they could hang out with Jessie's brother's friends. One of her friends Bizza, decides to go after the boy Jessie has been crushing on, and Jessie does not take this kindly. Jessie is not sure where she really fits in her friends are punk her brother was/is punk and those are the only people she really knows. When she sits next to Dottie in study hall though, Jessie's perspective of coolness starts to change. Jessie is in for an adventure and might even find a place for herself. I loved Jessie. This book makes me wish I participated more in Dungeons & Dragons, instead of disinterestedly watching it. All of the D&D kids in this book sound way better than Jessie other loser friends. Also Jessie and I are clearly meant to be friends since her go-to book is Angus Thongs and Full-Frontal Snogging. I freakin' love that book. 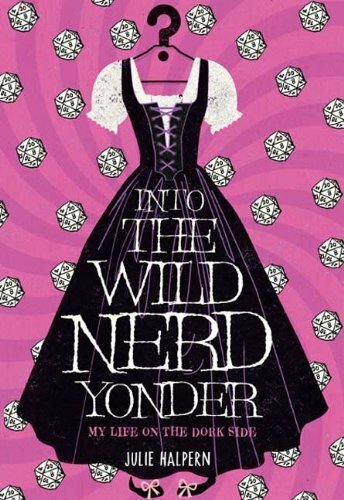 This was a great novel about a girl trying to find where she fits in. The general issue that most teens face at some point in their high school career. 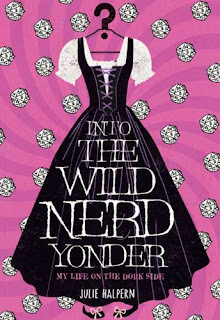 This book sort of reminds me of the song You Can't Handle This by Five Iron Frenzy, it's a nerdy song for a nerdy book. I of course mean nerd in the best way possible. People have to take back the name that people try to put them down with. Why should nerd be a bad thing? It shouldn't. I love that Jessie crafts her own skirts out of funky materials. I can't tell you how many handmade outfits I wore to school. Jessie was just a nice friendly character who was a genuinely interesting and inspiring girl. I really wish she was a real person, because I need a friend like that. Someone whose Ipod is filled with audio books instead of junk music. I suggest this to anyone who liked Angus, and Julie's other book Get Well Soon. This book was funny at times and rang so true all the time. It was a perfect, contemporary coming-of-age tale about letting go of labels so that you can just be yourself. "I so used to love the first day of school." "I must be in the Twilight Zone because I think maybe, possibly, somehow I might be crushing on a nerd."